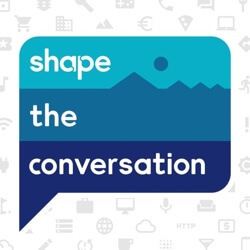 Today on 'Shape the Conversation', Nicole and Jon dive into formulating a PPC strategy for emerging products or services that may have low search volume on Google. You have an amazing new idea. No one has ever done anything like this before. But can you get it in front of anyone to get validation that it is that great of an idea? Is anyone searching Google for the solution you’ve created? Nicole and Jon have had to tackle this challenge before and have some advice for creating digital ad campaigns when search volume might be low or the search phrases you want to target are less obvious. - Focusing on the questions your target market are asking Google to find search phrases to target. - How to leverage the Google Ads Keyword Planner to research what people may be searching for. - Ways to think about quickly explaining your new product/service to the market. Our biggest takeaway is that you can use this process as a way to prove to yourself and others that there is a market for your idea. Digital marketing is a great way to get your product out to the world and begin getting feedback, even before you build.